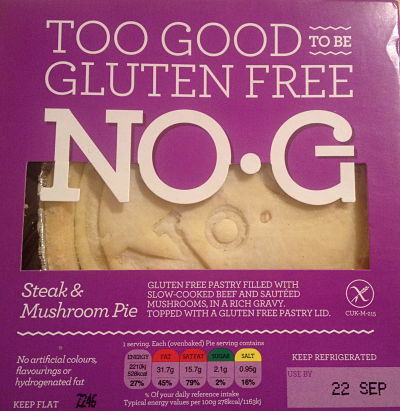 In 2014 NO.G – too good to be gluten free appeared on the UK market. Their website proudly states ‘bring back pastry’ and they aim to fill the gap in the market of fresh free from savoury items. I think they have succeeded, as they won the ‘Best New Idea Winner 2014’ at the UK’s biggest food and drink exhibition, Food & Drink Expo, organised by publishers of ‘The Grocer’. I first noticed them doing an Ocado shop and decided to sample an open top pie (similar to a quiche), a pie and some mini quiches. The NO.G items are fresh, so have a short ‘use by’ date, however you can also freeze them at home. 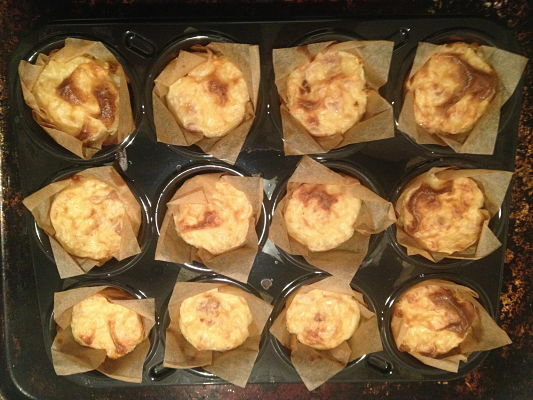 Just add an extra ten minutes to the heating time if you have frozen them. Everything I tried was delicious and I would recommend you try the NO.G products. 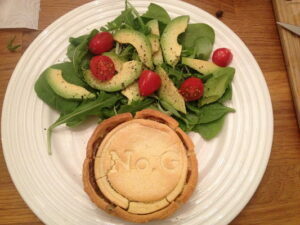 My gluten eating husband also enjoyed the NO.G products, particularly the mini quiches. 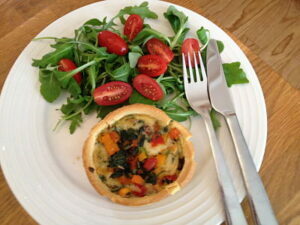 Gluten free pastry is a difficult thing to do, as it is the gluten that makes things elastic. 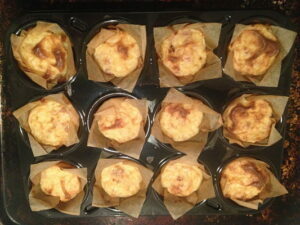 The pastry was delicate and did crumble a little on handling, but the taste wasn’t affected! All the products I sampled contained milk and egg. 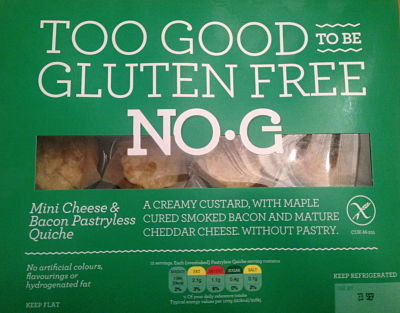 NO.G – too good to be gluten free is a Coeliac UK registered product and is produced at Riverside Bakery in Nottingham. 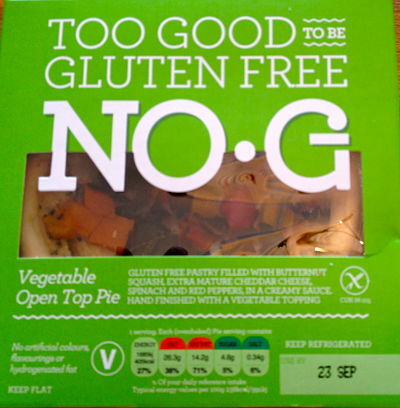 NO.G is available in the chilled section at several large supermarket chains – see stockists here. For other UK based product reviews you may be interested in, please click here.